Yeah it’s not very good but we’ll use it anyway. However it raises a question on how many movements you do actually make with your mouse while playing a game and how many times you click? 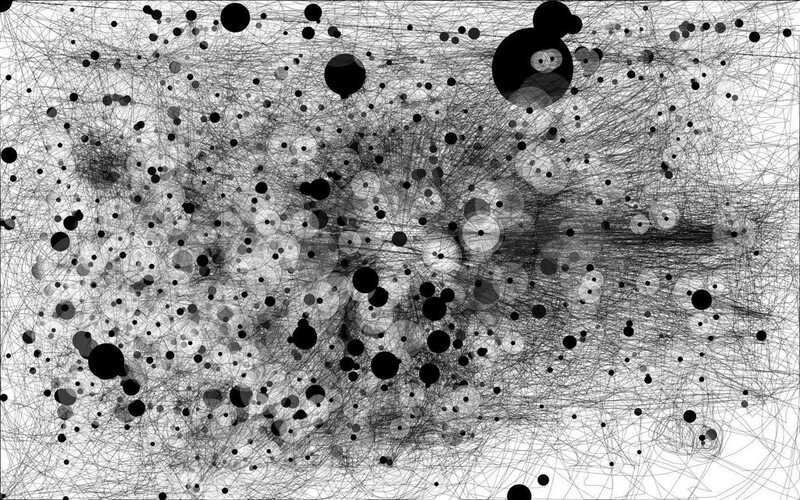 To answer that question a few people have installed an application called iographica which tracks your mouse movement, lack of movement and clicks and puts together awesome looking pictures like this. 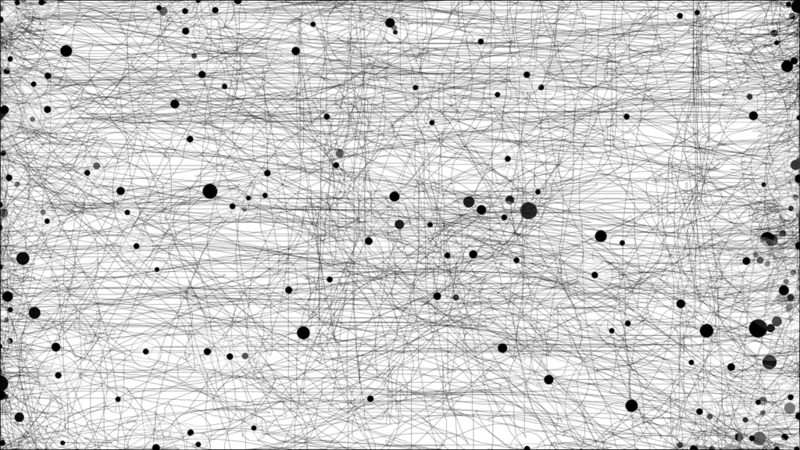 A black dot is a click, a perfect circle appears when the mouse is centred and not moving and then obviously the squiggles and the like is the actual mouse movement. 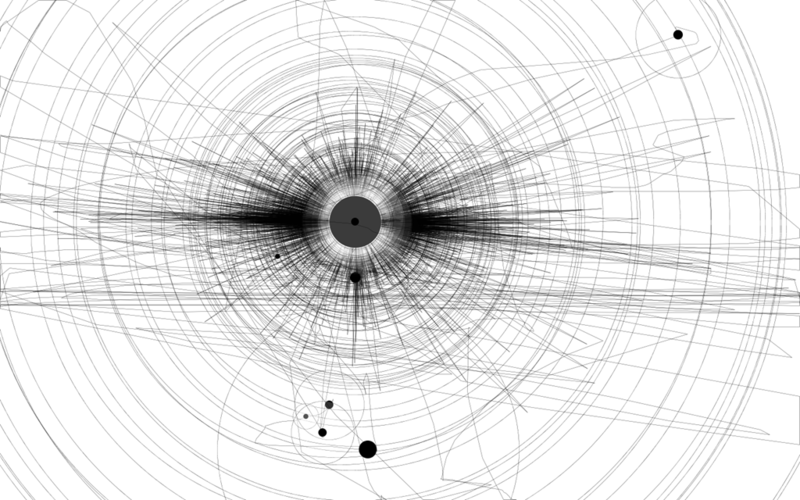 You can see here that there is a lot of waiting and talking to people and a serious amount of small sideward swipes. All the images are clickable to enlarge them and if anyone’s up for it I’d love to see what an hour of MW3 compared to an hour of BF3 looks like. I wonder if we can convince Jason to show us his Diablo image since he argued that the new Diablo doesn’t need to be clicked as much?